Well was yesterday the biggest day of new releases in YA or not? It seems like everyone published a book and lucky me already read two of them thanks to the lovely people at Oneworld Publishing; Conversion by Katherine Howe and Mindwalker by A.J. Steiger. As always, I'm very grateful for the free arc's, but that doesn't influence my review. I've read these books as my first reads for the #TBRTakedown read-a-thon, which means that they will also be included in my main wrap up post on Monday, but I couldn't wait to share the reviews until then! Conversion was the first book I've read for the read-a-thon and I must say that it wasn't an easy book for me. I was so excited to read it: it's about a strange illness taking hold in a modern high school while at the same time also telling the story of Salem and the witches there. This combination sounded amazing, but somehow it didn't really do it for me. The modern story wasn't too bad, but the narrator was AWFUL. Colleen is annoying, cocky, thinks she's really smart but isn't at all, and even though all her friends get sick, she only cares about getting the highest grades. I liked the other characters in the modern setting, but Colleen made me want to punch something. She's honestly the most annoying narrator I've read - I know you're a teen, but I've never seen such a bratty teen. The older tale woven into the story didn't capture me at all. I didn't understand it for the longest time and I just didn't relate to any of the characters. I must admit that I skimmed it halfway through the story and just focused on the modern story. There's so much potential with the Salem Witches story and this book left them all untouched. Such a shame. So I can't give this more than two out of five. It wasn't written badly, but I just wasn't a fan of the characters. Now Mindwalker is the opposite story. This is a dystopian tale about Lain, who is a mind walker. This means that she can access people's memories, live them and then remove them so traumatised people can be "normal" again. It's way more complicated than that, but eventually Lain gets caught up with a boy who wants help, but she has to do this illegally. This sets the whole plot into motion and basically we find out that everything in Lain's life is not what it seems. I wasn't super excited for this book based on the summary, but I wanted to give it a go. And I absolutely fell in love with this story. 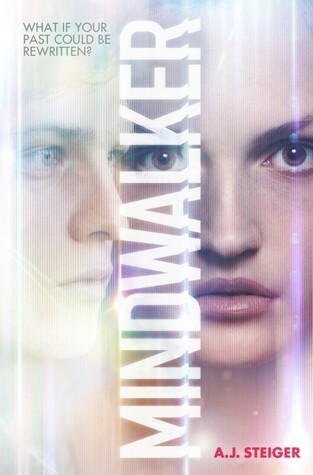 The mindwalker aspect was really cool, Lain is such a relatable and likeable character and there were so many twists and turns that you never knew how this book was going to end. Honestly, this book is SO SO SO good!! It's five out of five stars for me and I highly encourage everyone to read. And even better news - it's clearly part of a series, so we don't have to say goodbye to these amazing characters after just one book! I personally can't wait for part two!